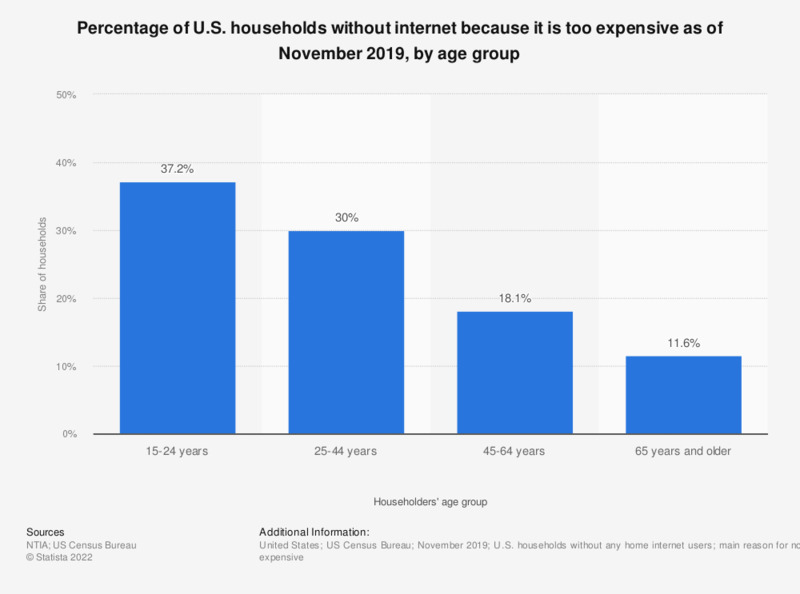 This statistic shows the percentage of U.S. households without any home internet connection due to it being too expensive, sorted by age group. As of November 2017, almost 43 percent of population aged 15 to 24 years living in households without internet did not have an online connection because it was too expensive. The national average of households not going online at home because it was too expensive was 21.2 percent.